 fixbo is an established, highly sophisticated short sea shipping platform for all parties working in the greater european coastal trade, offering fixture reports, the fixbo-index, market reports with the possibility to generate custom made analysis. If everyone shares a little of his knowledge together we will have a huge database of information about the european coastal trade. Exponential bigger than what we have as individuals. So you can be more productive, save time and concentrate on what you do best – your successful business. The fixbo index was especially developed for the european short sea traffic. The index is calculated from more than 300 new reports per month and is updated weekly. Latest data and history available for registered members. The more you report, the bigger the rebate becomes. The spirit of this platform is that subscribers send own fixbos (reports). Thus the monthly fee depends on how many fixbos your team submits per month. Up to 3 users are already included. Additional user are 25€ per user and month. The rebate will be calculated each month based on the number of fixbos your team submitted and will be credited the semi next month after the reporting month. Invoices will be send by Email only. Prices excluding VAT. EU Community members will be charged excluding VAT on Reverse Charge basis. You account will terminate automatically after 7 days. By submitting your data, you consent to processing the data for the purpose of handling your request. You can revoke your consent. For more information on this subject, please refer to our privacy statement.